Willamette Aviation Maintenance offers One-Time Condition Inspections of aircraft, which are priced strictly by time and material. A full-written report will be provided to the customer at the end of the inspection. 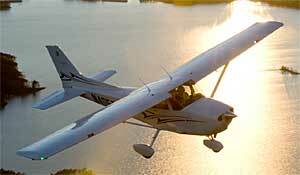 Airplanes to be inspected should be flown to Willamette Aviation with complete logbooks. We can perform One-Time Condition Inspections at other locations, but without the benefit of the resources in our maintenance shop. Whenever possible, we prefer that inspections be performed at our location. Please note: A One-Time Condition Inspection, for purposes of aircraft pre-purchase, is a snapshot of the airplane's condition at that time, based on inspection criteria defined by the customer. A One-Time Condition Inspection does not imply any guarantee of the aircraft's airworthiness over a period of time or at any future state.